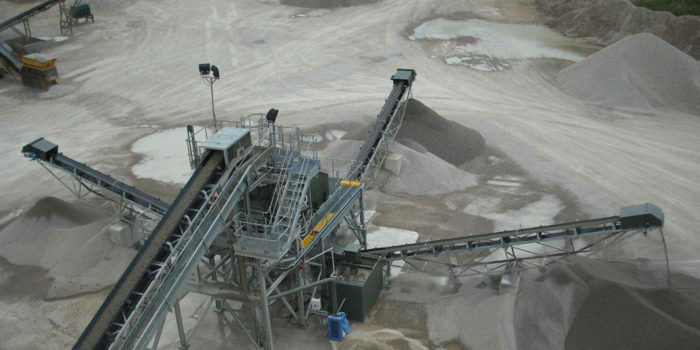 An 800 metre conveyor system at Wallasea Island, complete with belting was designed to transport the material within the site. All conveyor rollers , drums, conveyor belt, vulcanising, structure & covers were supplied by QPI. The conveyor stretches from the newly constructed jetty to a holding point for the excavated material, from which the material will be distributed around the site by truck. The jetty is able to accommodate two 90 metre, 2,500 tonne ships simultaneously. At peak times, two unloading machines per pontoon is capable of servicing four ships and unload up to 10,000 tonnes of material over a 24 hour period. Excavated material sustainably transported from London to create this new RSPB nature reserve will be unloaded directly from the ship on to the conveyor system. To accommodate tidal movements of up to six metres, the conveyor comprises a flexible section on the pontoon connecting to a fixed shore section. The RSPB nature reserve will be one of the largest new wetland nature habitats in Europe, providing an environment specifically tailored for fish, reptiles, insects, mammals and birds and acting as a tourist attraction and recreational resource for local people.